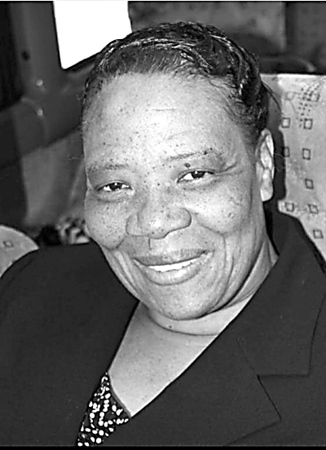 Viola Lewis-Hodge, 65 of New Britain, CT, died on Aug. 28, 2018, at St. Francis Hospital. She was born June 3, 1953, in Antigua, West Indies, to both the late Anjoe Lewis and Avril Jarvis. Viola was a long time resident of New Britain, Conn., where she lived since leaving St. Croix, U.S. Virgin Islands. Viola worked at Diloreto Magnet School before retiring to Florida to help raise her grandson. Viola is survived by her sons, Troy Henry and Taj Hodge, daughters, Tanya Hodge, LaToya Muzzulin, Norma Harris, Latifah Lewis, and Azara Francis. Besides her parents, she was predeceased by her brother, Gregson Thomas, and son, Ridley Lewis. Viola enjoyed life and the many lives she touched. She also enjoyed antiquing and tag sales on the weekends with her daughters. Her life will be celebrated Saturday at 12 p.m. at The United Pentecostal Church, 517 Farmington Ave., New Britain, with visitation 10 a.m. In lieu of flowers, please contact her daughter, Tanya Hodge at 860-758-0894. The All Faith Memorial Chapel of South Windsor has charge of arrangements. Posted in New Britain Herald, on Wednesday, 12 September 2018 20:13. Updated: Wednesday, 12 September 2018 20:16.